@EscoRcrds artist @SoloXplicitos is scheduled to be performing live for the first time in Bogota, Colombia. 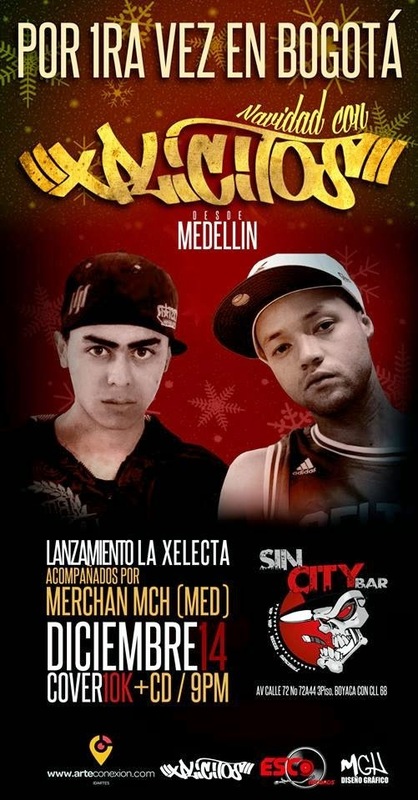 These lyricist invade the Sin City Bar located at Avenida Calle 72 72A 44, Bogota, Colombia, 11001 Bogotá, Colombia where they will be performing great records including the @itsKOTIC produced Maxima Lucidez. If your in Colombia, make sure to swing by and show some love.